Dental Problems 101: Are Cavities Contagious? A lot of people know a lot about cavities. They’re a result of bacteria feasting on too much sugar, a pain too unbearable to sleep on, and a common problem among children. But what you probably don’t know is that just like colds and flu, they’re also contagious. Yes, you can pass it on to other people, like your spouse and your children. This is why it’s important to visit your dentist regularly and address problems early on. As you know, tooth decays develop due to bacteria clinging to teeth and feeding on the particles of the food you eat. They release acids, which then eat away your teeth, the start of cavity formation. Those bacteria called Streptococcus mutans, unfortunately, can be passed on from one person to another. In fact, in most infants and younger children, the cavities come from their parents or caregivers, not really from sugar. How exactly does this happen? Well, sharing utensils is one culprit. Most people feed their kids using the spoons, forks, and plates they use. Some even taste the food first to make sure that it’s not too hot for their toddlers. Another way you can transfer the bacteria is through kissing. When you can’t resist that cute face, and you can’t help but kiss, you may just be passing on cavity-causing bacteria. The obvious solution is to limit doing these bacteria-passing routines. But more importantly, take note of the root of the problem. The prevention of cavities starts with the right oral hygiene habits. Proper dental care starts with visiting your family dentist regularly. Interestingly, a lot of adults haven’t stepped into a clinic for years, which makes them particularly vulnerable to problems, like cavities. There’s a misconception that when there’s no pain, there’s no issue. But the fact is that when there’s tooth sensitivity or shooting pain, it already means that the problem has already taken a turn for the worse. 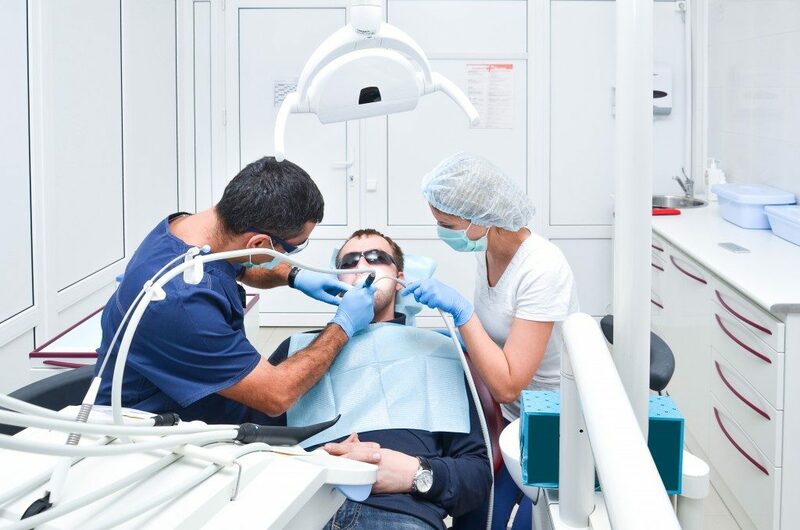 So, prioritize visits to your family dental clinic. Family dentists in Tempe share that the schedule of “regular checkups” varies from one person to another. Those at risk of dental problems have to go every three or four months, while those that are low-risk are fine with twice a year. It’s also important to teach kids good oral health habits, starting with toothbrushing. Remember to use the 45-degree angle when positioning the brush. Don’t overlook the often-forgotten areas, like the back of the front teeth, the hard-to-reach molars, and the tongue. Frequency is key. Let them brush in the morning, at night, and after meals. Duration is crucial, too. The entire routine should last for about two minutes. It’s only a half-truth that cavities are from the sugary food that you eat. The other side of the truth is that you can catch the bacteria from other people. So, protect yourself and your loved ones from this problem by limiting the bacteria-passing habits, as well as being diligent in proper oral hygiene.